N.R.S. Electronics BVBA cannot be held liable for the actuality, accuracy, completeness, and/or quality of the information provided. N.R.S. 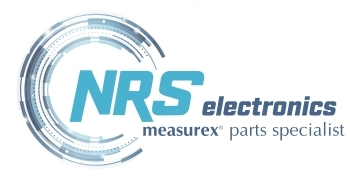 Electronics cannot be held liable for any material or prospective damage that could arise from any error that could occur on this website, in as much as no demonstrable deliberate negligence can be attributed to N.R.S. Electronics. All offers are entirely free of obligation and non-binding. N.R.S. Electronics retains the right to amend, complete, or discard certain pages of the website, or the entire product range, or to temporarily or permanently stop publication without any notice needing to be given. This non-liability comprises an integral part to our online product range referred to on these pages. In as much as parts or autonomous sections of this text no longer (fully) concur with the applicable legal status, the remaining parts of the document remain intact in as much as content and validity comes into play. The content and format of the website are copyright protected. The reproduction of the site’s content or formatting, particularly text (sections), imagery, pictures and design elements, in as much as they are protected under Belgian statutes, for purposes other than private or any other use, as well as their distribution and publication, require prior written consent.